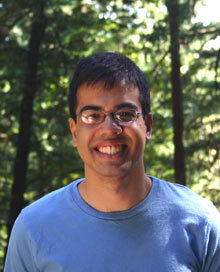 Sanjit Biswas worked on a system for connecting local residents to the Internet wirelessly. In 2006, a nonprofit group asked if the technology could help provide Internet service to the poor. Intrigued, Biswas took a leave of absence to cofound Meraki Networks in Mountain View, CA, and create wireless mesh networks that would link people to the Internet cheaply. Here's how a Meraki network works: a user plugs a router into a broadband Internet connection; that person's neighbors stick routers to their windows, and a mesh network of up to hundreds of people forms automatically. Users can give away or sell Internet access to their neighbors. There are already Meraki-based networks in 25 countries, from Slovakia to Venezuela, serving more than 15,000 users. I had a look at user list at webpage. Too sparse to be useful yet, but the spammers et al. are there already: "fast cash payday loan." Wait for them to get security.